In response to the flood of requests we receive to take our show on the road, you can now enjoy the world class cuisine and outstanding service of St. John Catering / Mathayom Private Chefs while on St. Thomas! 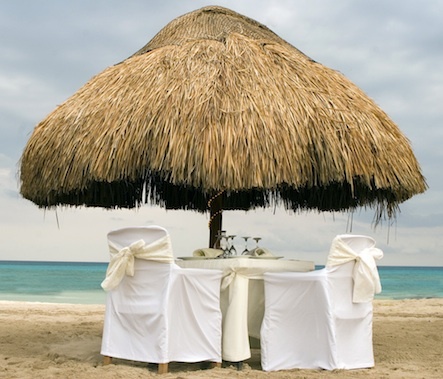 So, forget about ferrying your guests to another island and let us bring the best dining in the Caribbean right to you! Mathayom Private Chefs gladly offers our Private Chef Services and Wedding / Event Services to guests staying on St. Thomas! Choose the beautiful Virgin Islands for your destination wedding or corporate function and find amazing atmosphere and romance in the stunning Caribbean. 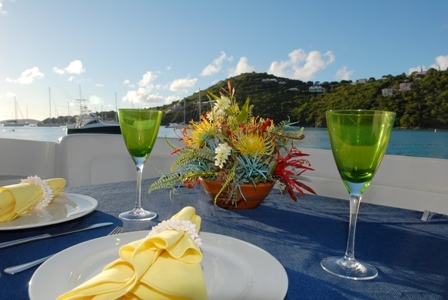 Or, enjoy the sunny US Virgin Islands by indulging in an elegant private chef dinner for your family and guests at your own villa. Whether you are planning a gala wedding with 200 guests and festive food stations, fun welcome or rehearsal dinner, casual beach bbq, or intimate celebration for close family and friends, Mathayom Private Chefs has options to suit anyone. Our talented chefs and professional staff are at your service, no matter the St. Thomas venue you select, St. John Catering / Mathayom Private Chefs promises to bring the finest food, service, staff and experience to you. Please note that the minimum order for a St. Thomas event is $750.